An Explosive Story and a Must Read: Document Details 'US' PLAN TO SINK HAMAS ! In my recent entry titled "The first meaningful action: Palestinians launch security crackdown" on Friday May 11 I wrote "this is a big deal along the current international crisis especially in Middle East". After the withdrawal of Israel from Gaza Strip in 2005, despite our hope the area in the pervasive poverty suffering the economical/financial sanctions was headed to more violent and lawless state. Needless to say any government is responsible for the security of its own territory. It was the first and decisive test of Palestinian Unit Authority to show the ability of governance. Much to my regret, the first independent attempt of Palestinian Authority to secure the area backfired miserably. On Sunday, just a few days after the action, the truce accord between Fatah and Hamas vanished. The leaders of both sides seem to be trying to re-establish order but failing to ceasefire. It is reported at least killed 41 so far, and clashes still continuing. To establish order, it needs a united security force. If it is, then Hamas militia must be merged into the national army. However Hamas denies to do so although the Prime Minister, Ismail Haniya who belongs to Hamas, now holds the post of the Interior Minister. Because it virtually/eventually means disarmament of its arms. Hamas declairs to fight until the complete liberation of Palestinian people. But it does not mean/intend a war between two states, Palestine and Israel, but a resistance of the occupants for life and dignity. Consequently we cannot help admitting that Hamas has a point. America experienced its civil war in 1861-1865, that was a battle between Federalist and Secessionist, i.e., North and South. For the north the cause of war was emancipation of slaves. But beforehand she fought and won the War of Independence (American Revolution, 1775-1783) against the British Empire, while Palestine is not yet even a state. Then why they fight inside? I recall our recent dreadful history of Uchi-Gewa (internal gewalt=violent partisan/factious battle, mostly by ultra-left). In '70 after the worldwide boost of the Anti-Vietnam-War and the burning down of campus battles along with the general trend of reinstatement of conservatism, a lot of members of political sects of new-left had involved into organizational bloody murders. All through the period far more than 100 persons were killed, 2000 wounded/disabled. This record by much surpasses the victims of gangland bloodletting. That devastating consequence　shook our relatively peace and nonviolent society, and the left-wing by a large margin lost its credibility irreparably. You should not fall into the same rut. According to Asia Times, the Jordanian weekly Al-Majd dug and exposed a document which evidences that US planed to undermine the legitimate Palestinian government established by official election by means of embracing the preferable faction for them. 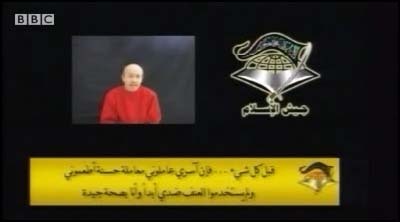 Jordanian government ordered the publisher's printing house to stop the presses and confiscated the edition's plates. The security services intervened during the night to stop the print-run. Paragraphs down there tell you the credibility of the report. OK. It is a basic assumption that US/Israel prefer to Fatah. Granted that, is it inevitable to struggle bloodshed faction-based power games? FYI I would like to note another historical episode in our modern history. During the Edo period lasting 260 years, Tokugawa-Shogunate had kept national isolation policy. 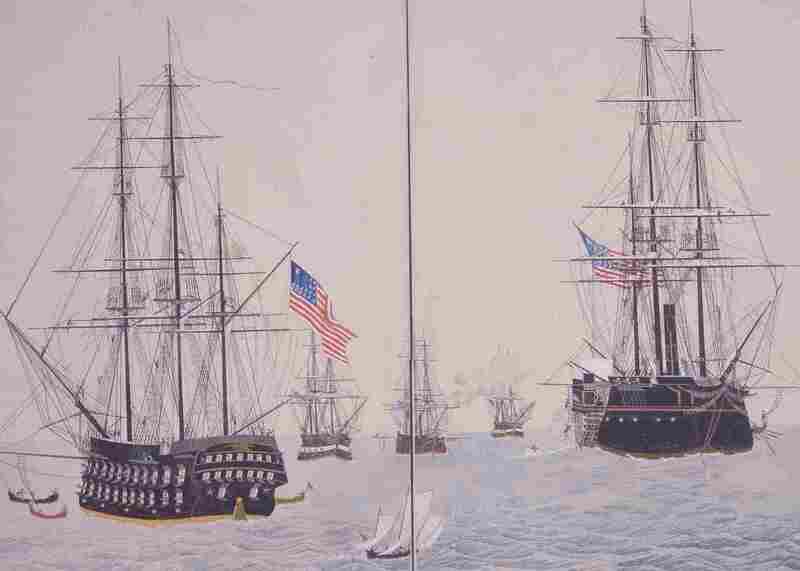 In 1883 US Commodore Matthew Perry visited Japan with fleet of navy ships in tow and demanded to open ports. This event caused a great upheaval in the society and triggered a nationwide movement to overthrow Shogunate. It was mainly driven by young groups from low-rank in samurai-class and supported by several powerful Domain Lords, where Satsuma and Chosyu were the core Domains. France embraced Shogunate and Britain backed up Satsuma and Chosyu. The foreigners supplied weapons and ships to each side. War potentials were said to be roughly matched evenly or competitive. We were pretty much at the verge of Civil War. At this critical point, we had two men with guts and true loyalty to the nation by good fortune. They met with carte blanche of each side, talked heart to heart, and succeeded at bloodless surrender of Edo Castle. Their names are Takamori Saigo and Kaisyu Katsu. 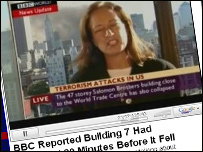 Since early this March, when I noticed "BBC WTC7 Demolition Preview Scandal", I've entirely sticked at British origin news and blogs, and to some extent came to know the corrupt status of present British government, specifically her intelligence community. Recently I've found some interesting articles below and my concern become huge. I bought and loved a bunch of flowers together with my wife. What a Grief! The next Sunday is coming Mother's Day. Now your girl can post her baby into the box freely and lawfully just like you abandon a trash into trash box as the baby is supposedly unwanted. This measure cannot be acceptable in our culture/country. Beyond shameful, rather said to be satanic. In the first place it is clearly unlawful in every clause of our law. Perhaps all our jurists are dead. Is it coincident that only three states in the world, Germany, Italy and Japan, all the Axis of WWII allow the baby trash? Isn't it the symptom of our going into fascist state? We have no politicians taking responsible to the nation. Miserable! What's a beautiful country. Hands Off the People of Iran: No to imperialist war! No to the theocratic regime! I would like to introduce to you a UK-base campaign for Iranian Liberation. Actually I myself don't know this movement well, but it looks like interesting since I'm slightly suspicious of too grandiose plays of Ahmadinejad the Iranian president with respect to his conspiracy theory. The initiative for this campaign has come from Iranian organisations and individuals. Their aim is to oppose any attack on Iran and at the same time give solidarity to the fight of the Iranian people against their oppressive, theocratic regime. At least I agree that theocracy is another kind of totalitarianism. Check it out. Nine weeks on missing BBC Gaza Reporter: Time is running out. Needs action now. The al-Jazeera Arabic news channel has received a tape purportedly from the kidnappers of the BBC's Gaza correspondent Alan Johnston. Queen Elizabeth || visited the ommonwealth of Virginia and met survivors of the VT massacre, why? The queen visited Virginia on May 3 after a half-century and met privately with some survivors and the families of the victims of the April 16 shooting. The state was the first plantation of Great Britain in America (400 years ago) and the commonwealth of Virginia is named for the Virgin Queen, Elizabeth I. Accordingly it might be that on her visit the queen showed her potential sovereignty/responsibility on her royal domain and her intention/regret to protect her subjects. Britain is very sensitive in such a matter not to mention the Falkland war case.